Tokyo: Oil held gains near a four-month high after Russia reaffirmed its commitment to production cuts by the Opec+ coalition and disruptions in Venezuela added to signs of tightening supply. Futures in New York were steady after rising 1.9 per cent in the previous session. Russia, the world’s second-biggest crude producer, is on track to reach its pledged output cut of 228,000 barrels a day by the end of March, Energy Minister Alexander Novak said. Venezuela’s main oil ports were said to remain shut on Tuesday after a power outage halted exports a day earlier. Oil is poised for the best quarterly gain since 2009 as the Organization of the Petroleum Exporting Countries and its allies curbed production to clear excess inventories. Signs the US shale boom is running out of steam, power outages in Venezuela and American sanctions on Iran are also supporting prices, while the outlook for demand remains uncertain as investors wait to see if the US and China can resolve their trade war. West Texas Intermediate for May delivery gained 7 cents to $60.01 a barrel on the New York Mercantile Exchange as of 11:04am in Singapore. The contract climbed $1.12 (Dh4.07) to $59.94 on Tuesday. It has risen 32 per cent so far this quarter. Brent for May settlement rose 12 cents to $68.09 on the London-based ICE Futures Europe exchange. The contract advanced 76 cents, or 1.1 per cent, on Tuesday. The global benchmark crude was at a premium of $8.08 to WTI. “We are going in this direction,” Novak said in Moscow, when asked if Russia has already reached the pledged 228,000 barrel-a-day cuts from its October baseline. He said earlier this month the nation is targeting cutting output to that level by the end of March. In Venezuela, the ports of Jose and Puerto La Cruz — which account for about 89 per cent of the country’s crude exports — remained shut Tuesday, according to a person with the knowledge of the situation. The blackout, a second in less than three weeks, also disrupted production at state-owned Petroleos de Venezuela SA’s joint ventures with Chevron Corp., Rosneft PJSC, Equinor ASA and Total SA in the Orinoco Belt. 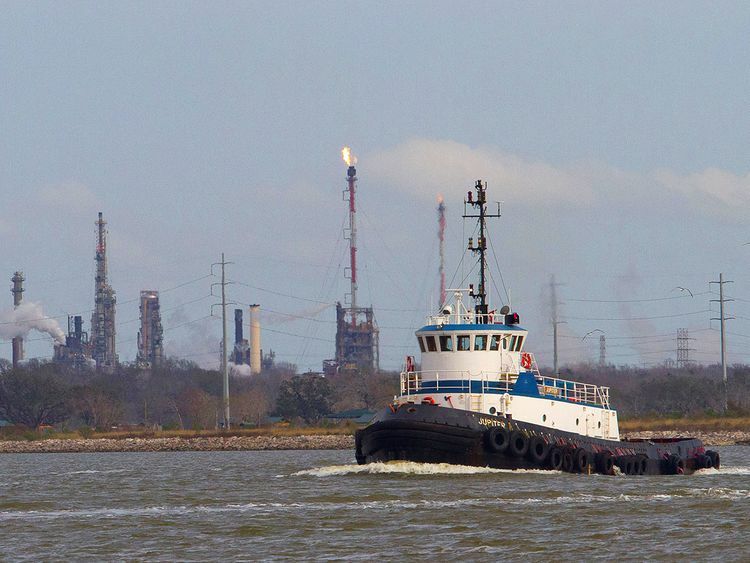 US crude inventories rose 1.93 million barrels last week, the American Petroleum Institute was said to report. If that’s confirmed by Energy Information Administration data due Wednesday, it would be the first increase in three weeks. The median forecast of analysts surveyed by Bloomberg predicts a decline of 2.5 million barrels.